man’s best friend,hands down!!!! and maybe teacher too. 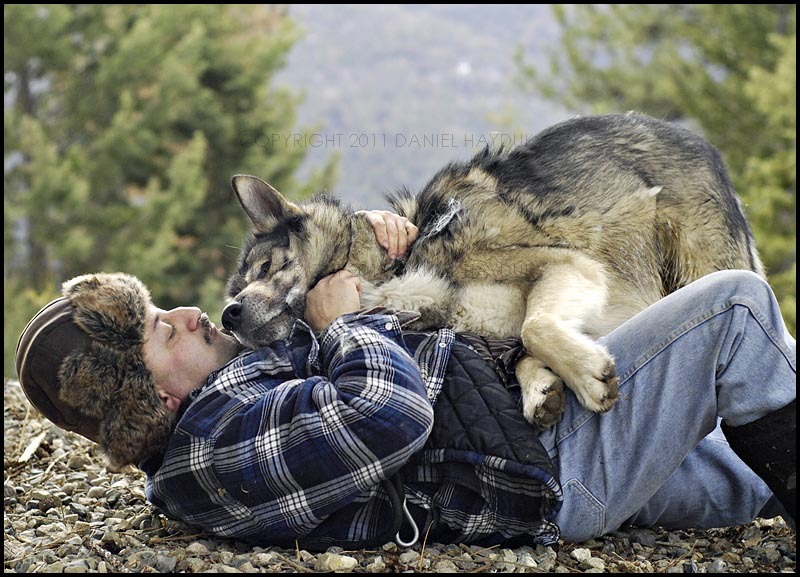 I would give anything to have one of your animals,they are beautiful.And i am a big animal lover,of any kind of animal.But i live in Canada,do you know of any wolf-hybrid kennels down this way.I live in Oshawa,Ontario,not to far from Toronto. The Wolf Hybrid’s ARE Very much Loyal and Devoted to the Family life, as in the wild, the “Wild” Wolve’s , each have a Special Role in HIERACHY within their Family-Pack’s!, with each, knowing AND Understanding Exactly what their main Role within the Pack is, and WHAT is to be expected of them. Wolve’s mate for life. Should either of the Alpha-Leader Wolf Should suddenly die, the remaining mate is somewhat lost without it’s leading Mate, and usually, the pack will in time, form as saying mallet and smaller pack,because the Whole Pack’s very survival, depends mainly upon the 2-Alpha Leader’s..,In some instances, the remaining Leader, will try to search for another Mate immediately too keep the whole pack altogether!, however, more often than not,…unfortunately, this fails, and shortly thereafter,the pack fall’s apart, attempting to join a closer pack, or beginning one of its very own, upon keeping their original packs territory, and good hunting ground’s. These animals are absolutely beautiful!!!!!!!!! But, it takes a special kind of person to raise these animals and to be very dedicated. You must also be very knowledgeable in their breed to understand them and to be able to meet their needs in life. To give them there best chance at a happy, successful life you must do your homework first of all before you even begin the process of owning one of these beautiful animals. By all means please make sure you are the type of person who can do these type of animals true justice before you even consider truly owning one of these most majestic of animals. If not please reconsider another type of dog better suited to your families needs as it can save a lot of heartbreak down the road, for both the animal and the family. i have a wolf dog, his name is max, he has been a god send for my family and has been with us for 12 years now, he has gone everywhere with me and well looked after…but you are right, it takes a special kind of person to raise these animals and to be very dedicated, loving, and not everyone should have one of these wonderful animals, as people can’t even look after themselves, most of the time … and i thank my lucky stars that god directed max to me, as he was found living way up north in Canada in the wild and was captured by the SPCA and was taken to shelter to shelter until he was taken to my home town, as no one wanted him. but for some strange reason i looked on the SPCA website and saw him and i knew he was going to be with me.. the rest is history, by the way this a great site..